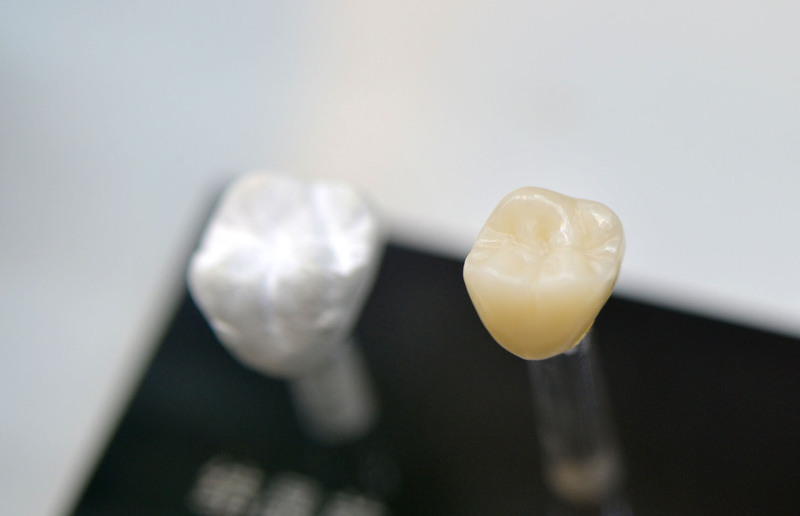 A dental crown, just like a king’s crown, is placed on top of a tooth. It acts like a cap or cover and is used to protect and restore a tooth. A crown has a lot of benefits for people who need to have their tooth repaired. It protects a weak tooth that has a crack and prevents it from breaking further. It restores a tooth that has broken. Dental crowns can also be used in children with similar conditions such as severely damaged or decayed tooth. There are different crowns that can be used in various situations, requirements, and budget. Stainless Steel: This is used temporarily while a crown of a more permanent material is being made. Stainless steel crowns are also commonly used in children because they grow out together with the permanent tooth. It is the most cost-friendly crown material. Metals: Metal crowns are made of gold, platinum, and other base metal alloys. They are considered the most durable because they can withstand biting and chewing. The only downside is that it has a metallic color that is eye-catching. Hence, it is recommended to use them for back molars. Porcelain: These are usually placed on top of the metal, so they look almost the same color as the tooth. However, they are not as durable as ceramic are prone to chipping. Crowns can last a long time if they are properly maintained and if your tooth is substantial to support it. To protect your crown, avoid chewing hard foods and always practice good oral hygiene.